I hear you. Why would you put your dog in a dog stroller? Shouldn’t a dog be walking and getting exercise? I, too, thought using a dog stroller was a big no-no. 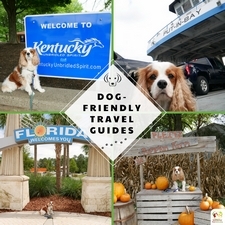 It was in 2010 when I took my Cavalier King Charles Spaniel Dexter to a big outdoor dog festival that I saw one benefit of using a dog stroller. On that day, Dexter and I were having a great day participating in all the outdoor dog activities, shopping, walking, and socializing, but it was a long day for us. He was getting tired and hot, but we still wanted to stay and enjoy the upcoming festival. Then I started to notice some dogs being strolled in dog strollers. Why, yes! A pet stroller could be a solution to this dilemma. I knew right then that was going to be our next purchase. 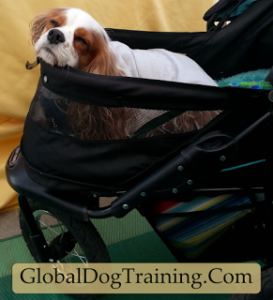 The dog stroller is a great solution when you and your dog are out and about, especially when the pavement is hot. After a lot of walking, a dog’s pads can get quite sensitive, and the pet stroller can protect those feet when walking in the grass is not an option. When I take Dexter on long outings, I always push the stroller and when Dexter gets too tired, or hot, in he goes. Sometimes it is just for a little rest, and then he comes right back out to keep walking. When I first purchased Dexter’s dog buggy, I thought I would only use it for our big outdoor adventures as a backup plan when he got tired. But, I then realized there was another opportunity that we could use the stroller – his dog therapy visits at the nursing home! Because Dexter is short, but not light, we struggled at finding a way people in wheelchairs could pet Dexter. He was just too short, but too large to hold for long or to place on laps. The stroller filled this gap perfectly! Now he is the perfect height for a wheelchair, and we stroll right up. As I continued to use our doggie buggy, I realized there are other situations that this will come in handy. Medical issues such as heart conditions, leg injury, or patella problems come to mind. Senior dogs are good candidates for a stroller. 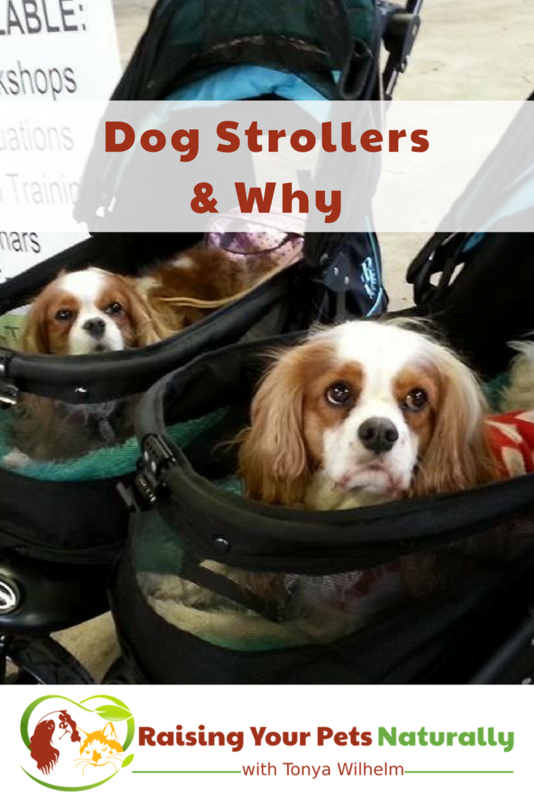 Puppies who are not fully vaccinated, but need the socialization (read my post on puppy socialization), or dogs who are building their confidence can also use a stroller. 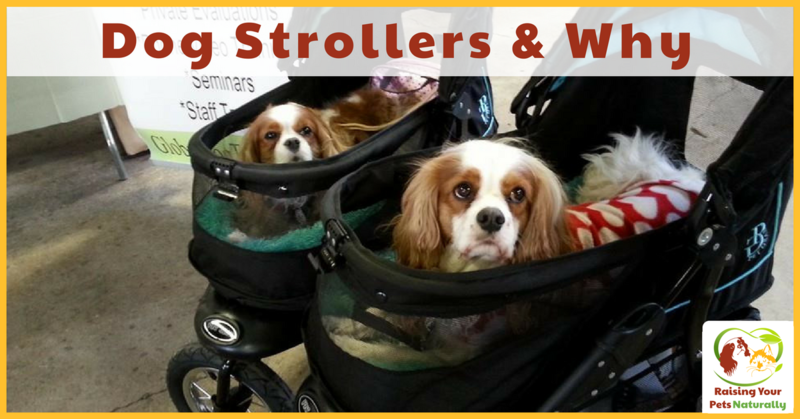 These are just a few other possibilities for using a dog stroller. And yes, they do have extra-large dog strollers for your large breed dogs or multiple small dogs. Or you can go with the double dog stroller. A few weeks ago Dexter and I went to that big dog festival (we go every year) and saw a new interesting idea: a collapsible wagon with a canopy! I think this looks like a very interesting idea that we might look into as well. It would be roomier, and has the cover over the top. The downside would be that we would not be able to use it for therapy dog visits (but we have the stroller for that). It also looks like it would be a bit bigger, so space in my small car might be an issue. So I will report back! UPDATE: Our friend bought the collapsible wagon with a canopy and is loving it!! UPDATE #2: I’ve upgraded to a slightly longer stroller for Dexter. The Pet Gear NV Pet Stroller. I love it! 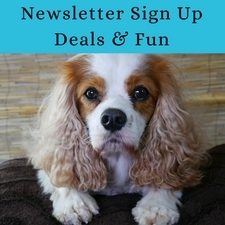 Have you used a pet stroller? Tell me in the comments. 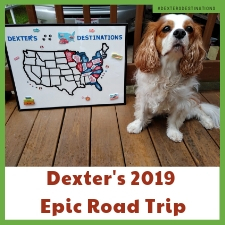 So glad that Dexter is enjoying his ride! 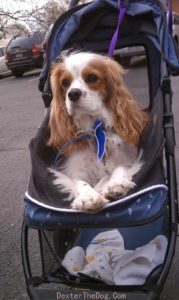 My cavalier had a stroller because our in-laws lived in a gated retirement community that didn’t allow dog walks inside the gates. Right outside there was a great, shady walking path. If I carried her from the gate to their house on the way back, I got muddy. Solution: pet stroller! I locked the stroller to the area next to the gate. I’ve also seen little red wagons used. Anotber advantage is at open air markets, small dogs don’t get stepped on. We got our smaller stroller from Craig’s list. I have a larger Solvit bike trailer with a stroller attachment. My dog hated it (I was hoping to add a second Cavalier), I’ve tried to sell it with no luck. Love your idea of therapy visits with a stroller. 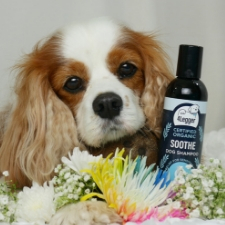 My dear therapy dog has passed now, but I’ll do that with my next Cavalier. Kept the Craig’s list special. I have used a pet stroller for 13 years now. 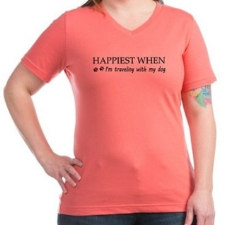 I first bought one when my 1 yr old Lhasa Apso began having health issues, and would tire after a 1/4 mile walk, but I wanted her to have fresh air for a longer time. This way after she tired from walking, I could just push her in a stroller for another hour, and I could still get exercise myself, and still spend outdoor time with her. She just recently passed away at age 14 1/2 and I continue to use the stroller for my other 2 small, senior dogs, one whom is blind and hates to be held, so it is a great way to take him to his many vet appts. I also now have severe back issues, and although my dogs are small (12 and 16 lbs) it really hurts my back to pick up and hold them during vet appts, so having the stroller makes my life so much easier and lessens the pain in my back. My other senior dog has no health issues, but she LOVES to hop in the stroller and sleep while in the house. She also thinks it’s a lot of fun to be pushed around inside the house in the stroller. I am very thankful for pet strollers! Hi, Pippi. So sorry for your loss. I appreciate you telling me your story. Having a stroller certainly allows Dexter more adventures. He has some disabilities and gets tired quickly. A little hop in and rest, then he’s ready for another walk.